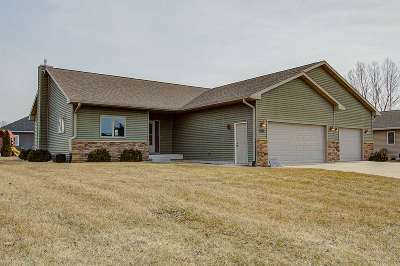 Magnificent 3 bed, 3 bath ranch home located in Cardinal Estates - walking distance to schools! Step inside and appreciate the open concept living area, featuring a beautiful kitchen with a large breakfast bar, Amish-built cabinetry, and wood floors. Entertaining is a breeze with the large deck close by! Additional home features include a spacious family room with high ceilings, a master suite with walk-in closet, and 1st floor laundry. The LL offers a large rec room with wet bar, free-standing gas stove, and a workout area. A 3-car garage and plenty of storage complete this incredible home!